An excellent review! Seems like every few years we are in the market for a new printer either in our home, or for one of our children. As you said, the ink really can get expensive fast. I don't have this model, but I do have a copier/fax/scanner printer. It it totally awesome to be able to do those extras all with one machine. Thanks, Mouse. I'm very pleased with my choice of a new computer printer. A 3-in-one printer is really a necessity these days. 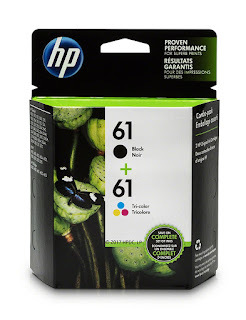 It's definitely a smart move to check the price of the ink cartridges first. I did that with our latest printer and it's worked out pretty well for us. We do occasionally have an issue with the wireless connection on ours (another brand) that can be very frustrating. Next time (oh, I hope there isn't a need for a next time but certainly there will be) I may go back to HP based on your review. That's a very pretty printer. Appreciate the review! Thanks, Susan. I think I made a good choice. I don't have wireless capability at home (yet), so haven't tried out the wireless connection (currently using just the USB connection), but glad I have the option of wireless for the future. And it IS a pretty printer, much nicer than my old one. It looks like you made a great choice. I'm really pleased with my selection, Linda. Thanks for stopping by. It's a printer I support too. We're big fans of HP Products (my laptop is HP) - Our HP purchases have lasted and stood up. I've always been pleased with the HP brand, Barbara. I agree that they 'stand up' and last. Very interesting! Wish I'd seen this before we bought our last printer!! Will keep in find for future purchases. Thank you. I find reviews by people who own and use a product can be very helpful when you are getting ready to make a new purchase, Carol. Thanks for stopping by.